Mt. Tom State Reservation; Holyoke, MA - Take a day trip! Hiking: Mt. Tom State Reservation is criss-crossed with hiking trails including a large section of the Metacomet-Monadnock trail that goes all the way up to Mt. Monadnock in New Hampshire. Dog Friendly: Leashed dogs are welcomed at Mt. Tom State Reservation. Bird Watching (notably hawks in season): Mt. Tom is one of the best birding sites in New England. With Mt. 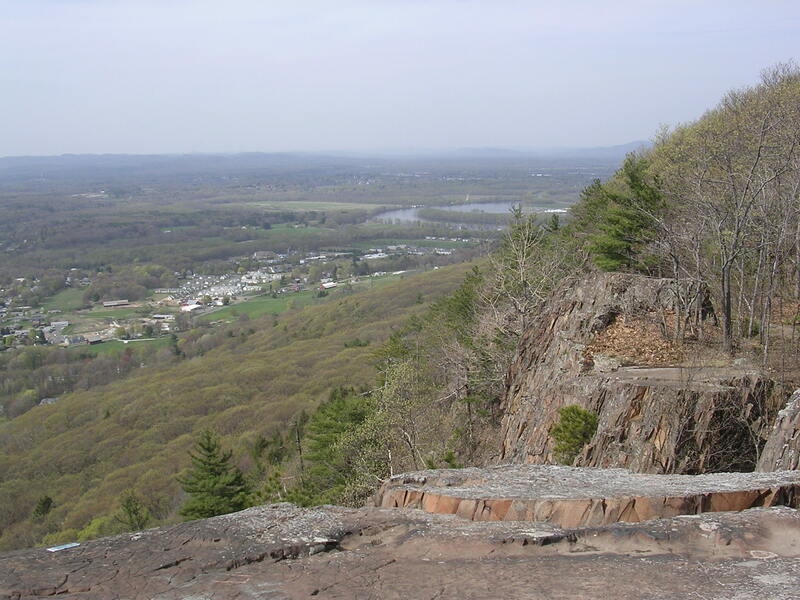 Tom being a long ridgeline to the west of the Connecticut River; there are lots of updrafts for birds to float on and numerous open spaces to sit down with a pair of binoculars to enjoy the view. Panoramic Views and Vistas (including some handicap accessible spots): Mt. Tom, and the trail the runs along it’s ridgeline, has amazing views of the Connecticut River and large parts of Western Massachusetts. View from Metacomet-Monadnock Trail on Mt. Tom in Holyoke, MA. Cross Country Skiing: With enough snow many of the trails in this State Reservation are ideal for cross country skiing. Picnicking: Many spots in Mt. Tom State Reservation are ideal for spreading out and enjoying a picnic, including a couple areas with picnic tables. Fishing: Fishing is allowed at Lake Bray on Mt. Tom State Reservation. Canoeing/Kayaking: Small non-motorized boats are allowed on Lake Bray. Favorite Activities: Taking a hike along the ridgeline of Mt. Tom in the fall and stopping to watch the hawks ride the updrafts and waiting for the right opportunity to dive down for their next meal. 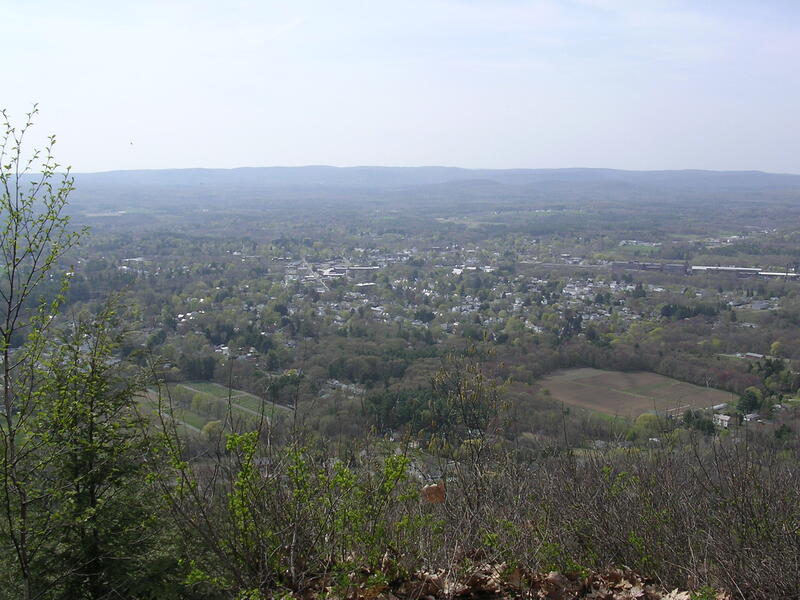 Combined with the lovely panoramic view of the Connecticut River Valley it makes a great way to spend an afternoon without too difficult a hike. Facilities, Fees and other information: Mt. Tom State Reservation has restrooms available on either side of Reservation Road & Smith’s Ferry Road as it goes through the park. The visitor center is also located off Smith’s Ferry Road. There is no fee for parking. For more information about the park you can also go the Massachusetts Department of Conservation and Recreation’s website for Mt. Tom. A PDF copy of the park map is also available at the state website or by clicking on the following link.